MIDLAND, Mich. - Gil Velazquez will be joined by Bobby Cuellar, John Valentin and Fumi Ishibashi to make up the Great Lakes Loons coaching staff for the 2016 season, the Los Angeles Dodgers announced today. 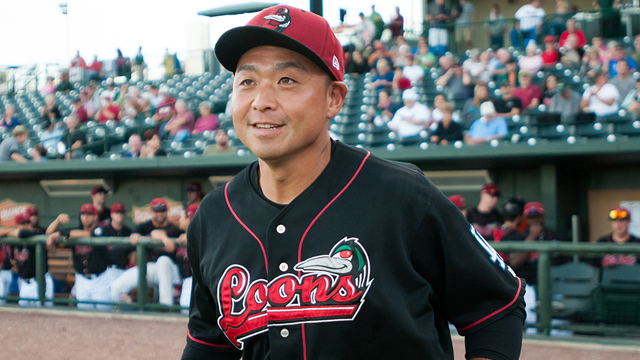 Velazquez, Cuellar and Valentin will be making their first stops in Midland, while Ishibashi was a member of the Loons coaching staff for a portion of the 2015 season. After making his coaching debut last season as the fourth coach for the Rookie-level AZL Dodgers, Velazquez assumes a manager's role for the first time in his career with the Loons. Velazquez, 36, enjoyed a 17-year professional career as an infielder, including five big league seasons with the Red Sox (2008-09), Angels (2011) and Marlins (2012-13). He also represented Mexico at the 2013 World Baseball Classic. Bobby Cuellar enters his second season with the Dodger organization and his first as Great Lakes' pitching coach, after serving in the same position with Rookie-advanced Ogden last season. Cuellar, 63, has been in coaching since 1983. His career has included stints as a pitching coach with the Mariners (1995-96) and Expos (1997-2000), and as a bullpen coach with the Rangers (2001), Pirates (2006-07) and Twins (2013-14). John Valentin will serve as the club's hitting coach following a three-year stint as the Dodgers' major league assistant hitting coach. Valentin, 48, who enters his ninth season in the Dodger organization, was previously the hitting coach for Triple-A Albuquerque (2011-12) and Double-A Chattanooga (2010), and managed Double-A Chattanooga (2009) and Single-A Inland Empire (2008). Fumi Ishibashi will be the fourth coach for the Loons, having previously held the same position with Rookie-advanced Ogden and Great Lakes. The Dodgers also announced the coaching staffs for the rest of the minor league affiliates. Coaches who will be in the Dodgers system during the 2016 campaign that have made stops in Midland include: Bill Haselman (2013, Triple-A Manager), Luis Matos (2015, Triple-A Coach), Bill Simas (2013-14, Double-A Pitching Coach), Jay Gibbons (2015, High-A Hitting Coach) and John Shoemaker (2011-12, AZL Manager). 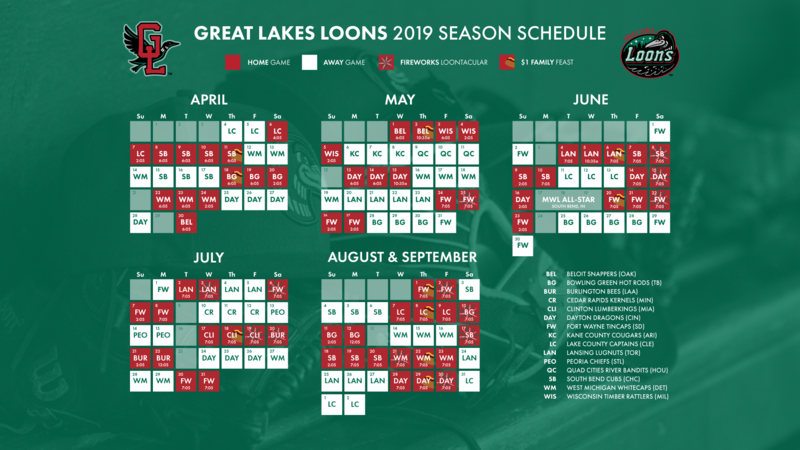 The Great Lakes Loons have been a Single-A partner of the Los Angeles Dodgers since the team's inception in 2007 and are entering their 10th season in 2016. For tickets and more information about the Loons, call 989-837-BALL or visit Loons.com.